(j) such other class of officers as may be appointed for the purposes of this Act. (1) There shall be the following classes of officers and persons under the State Goods and Services Tax Act namely. (2) The Commissioner shall have jurisdiction over the whole of the State of (….). All other officers shall have jurisdiction over the whole of the State or over such areas as the Commissioner may, by notification, specify. (1) The Board may appoint such persons as it may think fit to be officers under the Central Goods and Services Tax Act. (2) Without prejudice to the provisions of sub-section (1), the Board may authorize a Principal Chief Commissioner/Chief Commissioner of Central Goods and Services Tax or a Principal Commissioner/Commissioner of Central Goods and Services Tax or an Additional/Joint or Deputy/Assistant Commissioner of Central Goods and Service Tax to appoint officers of Central Goods and Services Tax below the rank of Assistant Commissioner of Central Goods and Services Tax. (1) Subject to such conditions and limitations as the Board may impose, an officer of the Central Goods and Services Tax may exercise the powers and discharge the duties conferred or imposed on him under this Act. 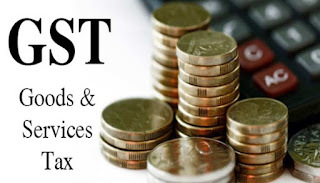 (2) An officer of Central Goods and Services Tax may exercise the powers and discharge the duties conferred or imposed under this Act on any other officer of Central Goods and Services Tax who is subordinate to him. (3) The Board/Commissioner may, subject to such conditions and limitations as may be specified in this behalf by him, delegate its powers to any other officer subordinate to him. (4) Notwithstanding anything contained in this section, a First Appellate Authority shall not exercise the powers and discharge the duties conferred or imposed on an officer of Central Goods and Services Tax other than those specified in section 79 of this Act.